Every house needs a television, but what's more important is what it sits on! 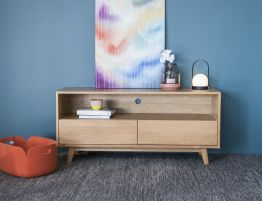 We have a huge selection of TV units, TV cabinets and sideboards available for selection. Browse through our products below or come and visit us in store to see the products first hand. 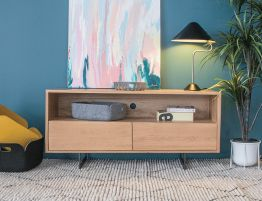 Almost every home has a television and they all need something to put it on. 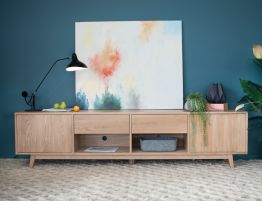 Our wide range of TV cabinets, TV units, and sideboards can allow you to create a fantastic focal point for your home. 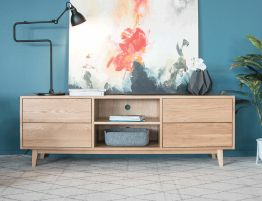 Experience the natural beauty and graceful strength of solid oak with one of our carefully selected furniture pieces.